CEZANJEVCI, LJUTOMER. HOLIDAY COMPLEX WITH CAMPING - "APARTMENTS SILVA", total gross surface of two apartment houses and dining rooms is 503.9 m2, built in 1980, renovated in 2007, plot 6.044 m2, complex represents: well maintained and nicely decorated rooms and family apartments for a total of 41 people, breakfast, dinner, and organized camping in nature with 6 wooden houses, tent and an outer terrace for preparing food and a large table. A well-maintained yard for parking 6-7 cars. For sale, price: 220.000 EUR. An outstanding opportunity for an investment purchase of an operating holiday complex with a 9.5 high rating on booking.com! 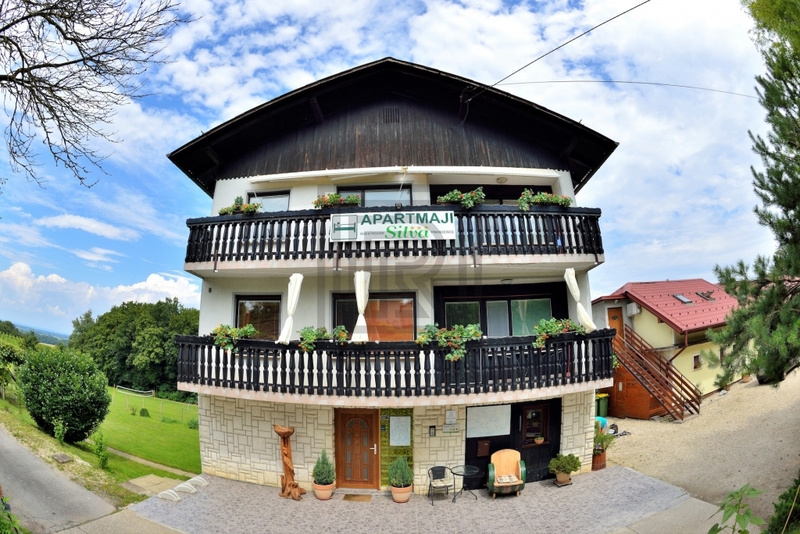 SILVA APARTMENTS are well-known and most desirable among tourists from Slovenia and Europe, family groups and all people who like sports or relaxing in the embrace of nature and in socializing with friendly people. ROI - 20%. 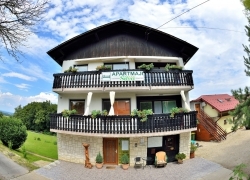 Basic information about the property: The apartment complex is located in the middle of unspoiled nature, beautiful hills and wine-growing terraces, 9 km from Bioterm and Terme Banovci (thermal water basins), and Jeruzalem - the world's famous family-run production and best-selling wine shops. The surroundings offer many cycling routes, enjoying rafting only 10 km away on Mura river and activities in the Ljutomer sports center (3 km), which includes tennis and volleyball courts, a table tennis table, and swimming pools. 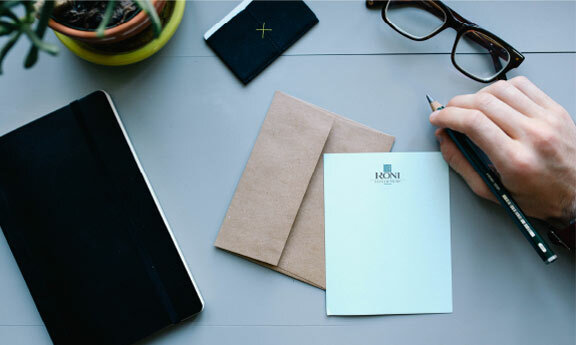 The facility is arranged, well maintained, successfully operating, developing and expanding its offer, has great potential in the future. FACILITY 1. - Apartment house 260m2: On the ground floor - separate 2 room apartment for owners, comprising a kitchen with dining room, bedroom, living room with a view of the camp, bathroom and utility. - spacious apartment for 3 people with a kitchen, a dining room, a children's room, a bedroom with a balcony and a bathroom. - apartment with a kitchen, a bathroom, and a bedroom with a balcony. Second Floor: a separate apartment for a large family or 7-member group. The apartment comprises the whole floor and has a living room, 2 large bedrooms, a kitchen with a dining room, a bathroom and a separate toilet. FACILITY 2.- Apartment house with a breakfast room of 243.9 m2. On the ground floor, there is a kitchen, a small kitchen, a pantry, a laundry room and a large dining room for breakfast (in the process of arranging the status of a restaurant), which has a beautifully arranged baker's oven and exit to the guest terrace. - room for 4 people with bunk beds, large bathroom, separate toilet. Large apartment for 5-6 persons, comprising: hallway, bedroom, second bedroom, bathroom, separate toilet, living room and kitchen, and terrace. CAMPING - comprises 6 wooden houses for 2 or 3 persons and a large tent for 2 people with a child. Space for setting up their own tents, parking cars, and caravans. Common spaces: common toilets (separate for women and men) and showers. Large covered terrace with arranged cooking facilities, a fridge, a sink and a large table. A children's playground and enclosures for sheep and pets. Connections: cable TV, internet (Wi-Fi), pellet heating, partly on electricity. The rooms in the dining room are air-conditioned. Hello! 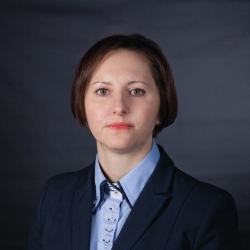 I am interested in this property at this link http://roni-nepremicnine.si/en/real-estate/163054-sale-weekend-residence-apartment-mura-statistical-region-ljutomer. Greetings.